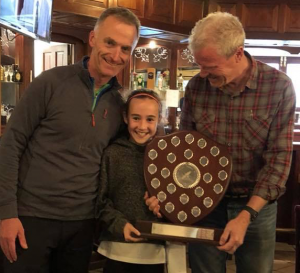 Setanta Orienteers are running a Leinster League event in Oakwood on Sunday 28th April 2019. Details of the event are posted here. Ever wondered what goes on in the mind of an ultra runner but were afraid to ask? 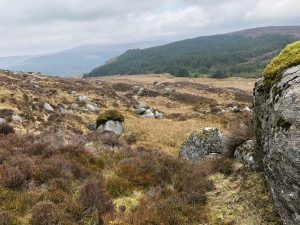 Paul Keville successfully ran the Wicklow Round (26 peaks, 100+km, 6,000+m climb – within 24hours) as a solo runner in 22 hours and 59 minutes on 23rd June 2018 . Congratulations to all the Setanta Leinster Champions and runners-up! CNOC held the Leinster Orienteering Championships in Stranahely on 7th April 2018 and it was a great event. There was plenty of sunshine on the day with delicious cakes and refreshments for the post-run discussions. Here is a breakdown of Setanta members who placed 1st, 2nd and 3rd in their age category – well done to all! Children do not have to be selected to join the Junior Squad. The Junior Squad is open to children in all orienteering clubs, even if they only orienteer occasionally or have just started orienteering. It is a great opportunity for children to train and socialise while learning or improving their orienteering skills.